Explanation: Gusting solar winds and blasts of charged particles from the Sun resulted in several rewarding nights last December for those anticipating auroras. 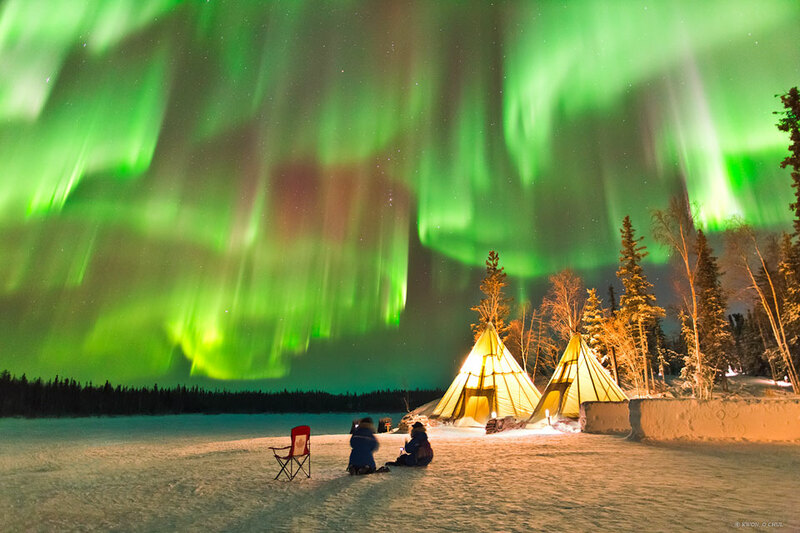 The above image captured dramatic auroras stretching across a sky near the town of Yellowknife in northern Canada. The auroras were so bright that they not only inspired awe, but were easily visible on an image exposure of only 1.3 seconds. A video taken concurrently shows the dancing sky lights evolving in real time as tourists, many there just to see auroras, respond with cheers. The conical dwellings on the image right are teepees, while far in the background, near the image center, is the constellation of Orion.